Chandrapur (meaning, moon city), formerly called Chanda,(meaning moon') is a city and a municipal corporation in Chandrapur district in Maharashtra state, India. It is also the headquarters of Chandrapur district. The region is very rich in mineral wealth, such as coal and limestone. Due to its large number of coal mines, the city is also known as Black gold city. Many cement factories are also located in this region. Chandrapur district has long history of prehistoric animals like dinosaurs and other animals. prehistoric Humans were living in this area.ASI and Suresh Chopane have discovered many stone age sites in chandrapur district from paleolithic to neolithic period dating back to five lakhs to 25 thousand years.All these evidences can be seen at suresh chopane rock museum.Chandrapur region had seen many kingdoms like-Mourya, Shunga, Satavahan, Vakataka, Kalukuries, Rashtrakuta, Chalukya and Yadav. Gond kings established their kingdom later. As per legends, on the death of King Surja (alias Ser Sah) of the Gond in the 13th century A.D., his son Khandkya Ballal came to the throne. This prince had tumours all over his body. He was looked after by his wise and beautiful wife. When no remedy could heal Khandkya she induced him to leave Sirpur and reside on the northern bank of the Wardha, where he erected a fort named Ballalpur. One day, as the legend goes, while the king was hunting north-west of Ballalpur he grew thirsty and rode up to the dry bed of the Jharpat river in search of water. He discovered water trickling from a hole, and after drinking, washed his face, hands and feet. That night he slept soundly for the first time in his life. Next morning the queen was delighted to see that many of the tumours on her husband's body had disappeared. On enquiry the wonderful cure was ascribed to the water of Jharpat where the King drank water and washed his face. The queen requested Khandkya to take her to the spot where he had quenched his thirst. Both proceeded to the Jharpat and in a little while the hole was found. On clearing the grass and sand there were seen five footprints of a cow in the solid rock, each filled with water. The water source at the spot was inexhaustible. The place was holy - the Tirtha of Acalesvar of the Treta Yuga fame. When the king bathed in the water all the tumours on his body vanished. That night the royal party encamped near the place, and in the visions of sleep Acalesvar appeared to the king, and spoke comforting words. On hearing the dream the queen advised the erection of a temple over the healing waters, and the king, approving of the idea, sent his officers to collect skilled architects for the work. He took great interest in its progress. One morning, after his daily visit, while he was riding he saw a hare darting out of a bush and chasing his dog. Astonished at this unusual sight he looked on and saw the dog running in a wide circle while the hare took zig-zag cuts to catch it. At one point it closed in with the dog which however shook it off and continued its flight. On nearing the point where the chase had commenced, the dog turned on and killed the hare. The king found that on the forehead of the hare was a white spot. Pondering what this might mean, he rode home and recounted to his wife all that he had seen. That wise woman counselled that the occurrence was a good omen, and that a fortified city should he built within the circuit of the chase, with walls following the hare's tracks. She further advised that special bastions should be erected, both where the hare had closed in upon the dog and where the dog had killed the hare. She expressed her belief that the latter point would prove to be dangerous to the city in the future. The king lost no time in giving effect to her suggestions. A trench was dug along the hare's track, which was easily discernible by the footprints of the king's horse. The gates and bastions were planned, the whole marked out, and the foundations commenced. The work was under the management of the Rajput officers of the King, called Tel Thakurs. Thus began the building of the city of Chandrapur. Some scholars derive the name from "Indupur" (city of the moon), which stood near the Jharpat in the Treta Yuga, but the common people see its origin in the white spot (Chandra) which marked the forehead of the wondrous hare. Khandkya Ballal Sah thus founded the city of Chandrapur. The name of the place was 'Lokapura' which was first changed to 'Indupur' and subsequently to 'Chandrapur'. During the British colonial period it was called Chanda district, which was again changed to its original name 'Chandrapur' around 1964. 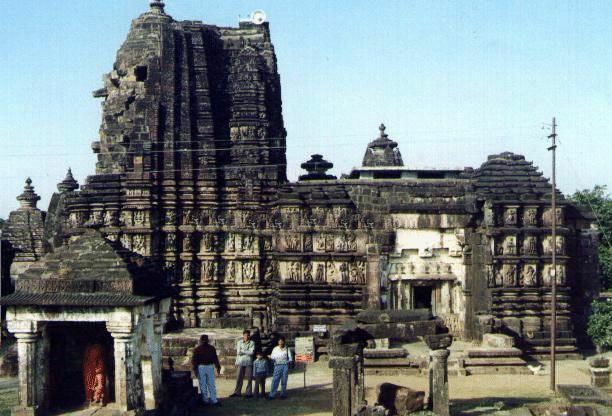 Other places of the region in ancient times include Wairangad, Kosala, Bhadravati and Markanda. Gond Kings ruled the area till 1751 after which Maratha period started. Raghuji Bhosale, the last King of the dynasty, died heirless in 1853 and Nagpur province together with Chandrapur was declared annexed to British Empire. In 1854, Chandrapur formed an independent district and in 1874, it comprised three tehsils: Viz Mul, Warora and Bramhpuri. In 1874, however, upper Godavai district of Madras was abolished and four tehsils were added to Chandrapur to form one tehsil with Sironcha as its headquarters. In 1895, the headquarters of one tehsil transferred to MUl to Chandrapur. A new tehsil with headquarter at Gadchoroli was created in 1905 by transfer of zamindari estates from Bramhpuri and Chandrapur tehsil. A small zamindari tract from Chandrapur district as transferred to newly from districts in 1907. In the same year and area of about 1560 km2. comprising three divisions of the lower Sironcha tehsil namely Cherla, Albak nad Nugir were transferred to Madras State. No major changes occurred in the boundaries of the district or its tehsils between 1911-1955. Consequent upon reorganization of the states in 1956, the district was transferred from Madhya Pradesh to Bombay state. In the same Rajura tehsil, a part of Adilabad district of Hydrabad state, was transferred to Nanded district subsequently it was transferred to Chandrapur district in 1959. the district became part of the Maharashtra since its creation in May 1960. For administrative convenience and industrial and agricultural development, this district was again divided into Chandrapur and Gadchiroli district after 1981 census. Chandrapur district now comprises the tehsil of Chandrapur, Bhadravati, Warora, Chimur, Nagbhir, Bramhpuri, Sindhewahi, Mul, Gondpipri, Pomburna, Saoli, Rajura, Korpana, Jivati and Ballarpur. The city is located at the confluence of the rivers Erai and Zarpat. The northern portion of the city is at a high elevation and the southern portion is low. The old city is surrounded by walls called "parkots". These walls have four gates to enter and leave the old city, namely, Jatpura Gate, Anchaleshwar Gate, Pathanpura Gate and Binba Gate. Also they have four windows ("khidki" in Marathi) to enter and leave the old city: Bagad Khidki, Hanuman Khidki, Vithoba Khidki and Chor Khidki. The Gaontideo Nala originates from the uplands of the Chandrapur Super Thermal Power Station. The Macchhi Nala originates from uplands of Central Forest Rangers College. River Erai has a long history of floods, and the flood marks appear on the fort walls of the city. In the north of the city, a dam is constructed on the river Erai, having the capacity of 207 million cubic meters. Chandrapur, the headquarters of the district to which it gives its name, is the largest city in the district. The city is located at 19.57°N latitude and 79.18°E longitude in the eastern Maharashtra. It is situated at 189.90 meters above the mean sea level. The area of the city is about 70.02 km². The north-south length of the city is about 10.6 km, while the east-west length is about 7.6 km. Chandrapur is known for its hot and dry climate. Humidity is very low in the region. Temperatures start decreasing in October with December being the coldest month, with a minimum average temperature of 9 °C and maximum of 23.2 °C. Temperatures begin to rise in February. May is the hottest month with a mean maximum temperature of 43 °C and minimum of 28.2 °C. The highest temperature ever recorded in Chandrapur was 49 °C on 2 June 2007 and the lowest was 2.8 °C on 10 January 1899. Monsoons mark the rainy season, lasting from June to September, bringing most of the rainfall to the region. Chandrapur receives an average annual rainfall of 1249.4 mm. The average number of rainy days is 59.2. As the city passed the population limit of 300,000, with a population of 375,000 as per the 2011 census, in a decision made on 20 October 2011 by the state cabinet, Chandrapur municipal council was elevated to the D-grade municipal corporation status, along with Latur and Parbhani in the state, and has 67 wards. Hinduism is the majority religion in Chandrapur city, with 71.84 % of its population as followers. Buddhism is the second most popular religion in Chandrapur city with 15.64 % of the population as followers. 10.07 % of the population follows Islam, 0.94% follow Christianity, 0.54% follow Jainism, and 0.44 % follow Sikhism. Approximately 0.47 % stated 'Other Religion' and approximately 0.05 % stated 'No Particular Religion'. Mahakali Mandir (temple) is an icon for Chandrapur. Devotees visit Mahakali Mandir every day, with Tuesdays being a particularly significant day to visit. There are a small Ganesh temple and Hanuman temple inside the Kalikankalini Mandir premises. The temple has two entrances, both with small shops for puja supplies like coconut, flowers and cloth. Things for home décor and puja décor items are sold near the temple. There is also a Shani temple next to the rear entrance. There are two idols (murtis) in the Kalikankalini Mandir. One standing murti is the main idol decorated with red, yellow and orange cloths. This idol is associated with Shiv Ling. The second murti is in a reclining position below the ground level, and devotees must walk in a tunnel to reach it. Inside the temple, a priest is present to assist visitors with puja and offerings. Every year there is a fair during the month of April, and during this period devotees from different parts of state visit the Kalikankalini Mandir. There is a trust formed to take care of temple administration. Many improvements have been made to the amenities of the temple in the last decade. The temple authority has made dharmashalas for devotees to help them stay near the temple for free if they have traveled from distant places. A temple of Anchaleshwar, a form of Lord Siva, is situated near Anchaleshwar Gate on the banks of the Zarpat river. 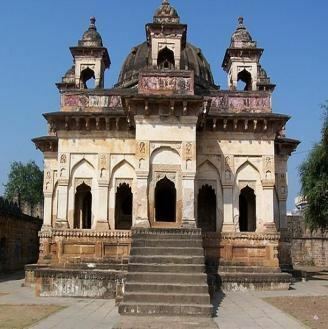 The official mausoleum or Samadhi of the Gond kings is also located in the temple's premises. The historical embracing of Buddhism, the ‘Deeksha’ ceremony, by Dr. B.R. Ambedkar and his followers took place in the city in 1956. Babasaheb Ambedkar embraced Buddhism along with his family members on 14 October 1956 at Nagpur. Soon after that, he converted millions of his followers. On 16 October 1956, he gave Diksha of Buddhism to his followers at Chandrapur. Now the place is known as "Deeksha Bhoomi". Dr. Ambedkar chose only Nagpur and Chandrapur for Dharmantar (conversion to Buddhism) and therefore Chandrapur has historical importance. Barrister Rajabhau Khobragade established the Dr. Babasaheb Ambedkar College of Arts, Commerce and Science in the Deeksha Bhoomi premises. A branch of Buddhivruksha from Bodh Gaya is planted in the premises and is growing gracefully. The two-day function of Dhamma Chakra Pravartan Din is hosted on 15 and 16 October every year at this holy place. Thousands of pilgrims and monks visit Deeksha Bhoomi then. Marathi is spoken by most of the people in Chandrapur. The native Gondi language is spoken by most of the Gonds in Chandrapur. The people are also fluent in Hindi. A large section of population also speaks English. Akhil Bharatiya Marathi Sahitya Sammelan, the conference on Marathi literature, was held twice in Chandrapur city, in 1979 and Feb 2012. It was presided over by Vaman Krushna Chorghade in 1979 and by Vasant Aabaji Dahake in 2012. All India Gondi Religious Convention was held by the Central Provinces and Berar Gondwana Samaj Sewa Samiti in Warora in 2016. It was presided over by Gondraje Dr.Birshah Krushnashah Atram, a descendant of King Khandkya Ballal Sah. This is the first Gondi religious convention in India. Chandrapur lies on major state highways MH MSH 6, MH MSH 9 and state highways MH SH 233, MH SH 243 and MH SH 264. Chandrapur is connected to many cities in Maharashtra by MSRTC buses. The buses ply to Nagpur, Wardha, Yavatmal, Gondia, Bhandara, Gadchiroli, Amravati, Akola, Washim, Nanded, Shirdi, Aurangabad, Pune, Rajnandgaon, Durg, Raipur, Adilabad, Karimnagar and Hyderabad. Chandrapur railway station comes under Nagpur CR railway division of the Central Railways. It is located on New Delhi - Chennai section of the Indian Railways. Another railway station is Chanda Fort railway station which comes under Nagpur SEC railway division. It lies on the Bangalore - Gorakhpur railway route. Other railway stations within its urban area are Babupeth, Vivekanand Nagar and Choti Padoli. Chandrapur Airport is situated near Morwa village on MH SH 264, about 12 km from the city. The airstrip is 950 metres long and is operated by the Maharashtra Airport Development Company. MADC has no plans of developing this airstrip, owing to obstructions all around the site, particularly the thermal power plant. The nearest airport with scheduled flights is Dr. Babasaheb Ambedkar International Airport, Nagpur. There is poor public transportation within the corporation. About 6000 small, medium and large scale industries are located at Chandrapur district. Chandrapur has large deposits of coal and lime stone. The mammoth coal mines around the city also contribute to the heavy industrialization of the city. Western Coalfields Limited (WCL), a subsidiary of Coal India, has many mines here. Chandrapur Super Thermal Power Station by Maharashtra State Power Generation Company Limited is its biggest pit head thermal power station. The city houses various cement factories in its vicinity. They are Manikgarh Cement, a division of Century Textile and Industries, part of the BK Birla group of companies, UltraTech Cement (formerly L&T Cement), a division of Grasim Industries, part of the Aditya Birla Group; Chandrapur Cement Works, a division of Associated Cement Companies, part of Holcim Group; and Maratha Cement Works, part of Ambuja Cements Limited. The district also boasts of having Ballarpur Industries Limited, the largest manufacturer and exporter of paper in India. Other major industries include a Chandrapur ferro alloy plant (formerly Maharashtra Elektrosmelt Ltd), a ferro-manganese plant, and a silico-manganese plant of Steel Authority of India Limited. Chandrapur's ferro alloy plant is the largest manganese-based ferro alloy producer in the country. The Chandrapur Super Thermal Power Station, sprawling over 12212 hectares and employing a workforce of around 3460 people, is the biggest pit head thermal power station of the Maharashtra State Power Generation Company Limited, located 6 km from Chandrapur city. The 3,340 MW power station complex contributes more than 25% of the electricity for the entire state. It is the first ever thermal power plant in India to have commissioned a 500 MW unit, which it did in 1991-92. The first stage of the plant was sanctioned in 1976 and the Central Energy Minister Shri K. C. Pant laid the foundation stone on 16 January 1977. The first set of 210 MW unit was commissioned in August 1983 and the second set in July 1984. The first unit was dedicated to the nation on 8 October 1984 by the Hon. Prime Minister, the late Smt Indira Gandhi. The station has total 9 units in which 4 units of 210 MW, 3 units of 500 MW and also adding 2 units of 500MW commitioned on 2016. Durgapur and Padmapur Collieries of WCL are the pit head mines from where the coal is transported by Ropeway. A 420-metre masonry dam, constructed on the river Erai at a distance of about 15 km from the power station, caters to its water requirements. It is a composite dam with a central spillway and earth saddle dams on left and right bank of 800 and 425 meters length respectively. MSPGCL acquired 7041 hectares of land for the construction of this dam. It has an effective storage capacity of 198 million cu. meters, of which 12 million cu. meters per year is released to Chandrapur city. Chandrapur has many education facilities. Karmavir Dadasaheb Kannamwar High School (previously known as Zilha Parishad Jubilee High School, is the oldest institution in Chandrapur, established in 1906, by the then British to mark golden jubilee of win in Indian Rebellion of 1857. The Lokmanya Tilak Vidyalaya was founded in 1932 by Bal Gangadhar Tilak himself. The Chanda Sikshan Prasarak Mandal is the biggest educational trust in the city, which also has several schools and colleges in districts. C.S.P.M. is located on Kasturba road and was completed 50 years ago. It is the second city in Maharashtra having both Government Medical College, Chandrapur and Government College of Engineering, Chandrapur, after Aurangabad. Except medical, all graduation colleges in Chandrapur are affiliated to Gondwana University. Also have newly opened Central institute of plastic engineering and technology(cipet) vocational training center. Tadoba Andhari Tiger Reserve is notable as Maharashtra's oldest and largest national park. It is one of India's 43 "Project Tiger" - tiger reserves.The name "Tadoba" is the name of the God "Tadoba" or "Taru", praised by the tribal people who live in the dense forests of the Tadoba and Andhari region, while the Andhari river that meanders through the forest. gives the 'Andhari' name. A shrine dedicated to the God Taru now exists beneath a huge tree, on the banks of the Tadoba Lake. Hunting was completely banned in 1935. Two decades later, in 1955, 116.54 km2 (45.00 sq mi) was declared a National Park. Andhari Wildlife Sanctuary was created on the adjacent forests in 1986, and in 1995, both the park and the sanctuary were merged to establish the present tiger reserve. 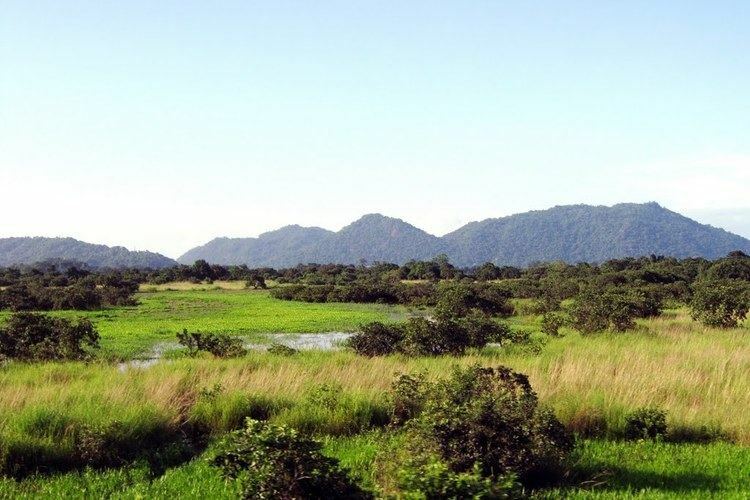 Total area of the reserve is 625.4 square kilometres (241.5 sq mi). Karmavir Dadasaheb Kannamwar, the second chief minister of Maharashtra, was from Chandrapur. Mohan Bhagwat, chief of the Rashtriya Swayamsewak Sangh, is from Chandrapur. Balasaheb Deshmukh was a prominent advocate and a follower of Bal Gangadhar Tilak. It was due to his efforts that Tilak visited Chandrapur and laid foundation of Lokmanya Tilak Vidyalaya. Barrister Rajabhau Khobragade, former Deputy Chairman of Rajya Sabha, leader of the Republican Party of India (Khobragade) and follower of B. R. Ambedkar, was from Chandrapur. Shantaram Potdukhe, one of the ministers of state who had charge of the finance portfolio in Narasimha Rao's government, is also from Chandrapur. Suresh chopane is a well known personality in chandrapur.He is an astronomer, a science populariser and noted environmentalist.He has been awarded, national teacher award and national science award.He is also a REC member of ministry of environment, forest and climate change, Delhi.He has discovered many fossils and stone age sites.He has established, Suresh chopane rock museum, in chandrapur. Hansraj ahir, one of the most successful politions and present MP from Chandrapur constituency and minister of state who had charge of home ministry's in 2016 and presently Narendra modi lead NDA government. Sudhir mungantiwar, MLA from ballarpur constituency and present minister of finance and Forest's of Government of Maharashtra.